First Chair in four jury trials. Second Chair in four jury trials. Taken and defended over 800 depositions, including business valuation experts, economists, design engineers, medical standard of care experts, forensic pathologists, toxicologists, accident reconstructionists, corporate representatives, plaintiffs, defendants, and fact witnesses. Drafting and arguing motions in complex cases in state and Federal courts across the country. 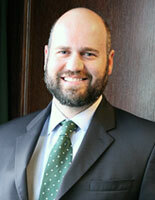 Adjunct Professor, Baylor Law School: Products Liability Lecturer, Mock Trial Instructor, 2013-17. Member of the Board of Directors of the Texas Trial Lawyers Association, 2017. Named a Super Lawyers Rising Star, Thompson Reuters, 2015, 2016, 2017, and 2018. Married to successful plaintiff’s and criminal defense attorney, Michelle Simpson Tuegel. Avid fly fisherman, aviation enthusiast, and beginner French student.